Photo courtesy of USC Center for Religion and Civic Culture website. What role does religion play in motivating exemplary individuals to commit their lives to humanitarian work? How does engaged spirituality sustain their work in the face of great challenges? 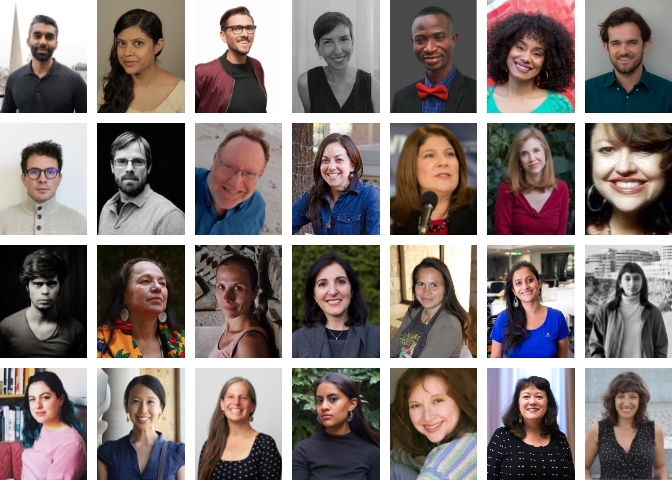 I am humbled, honored, and terribly excited to join a team of top-notch journalists from around the globe to help report on and write profiles about individuals working on humanitarian causes, such as poverty and human rights. These “exemplars” are often are inspired and sustained by their spiritual beliefs and practices. Whether they are Buddhist, Muslim or Christian — or do not adhere to any particular tradition — their spirituality compels them to be engaged with the world. Religion and spirituality matter. They motivate us. They move us inwardly and outwardly and move with us across the globe. Throughout the annals of time and over vast geographic boundaries, religion and spirituality have helped humans express their deepest questions, confront some of the most critical issues of life, and influenced virtually every human society, civilization, or culture since the dawn of human history. That is why it is important for us to seek to understand religion and spirituality in all of its vast diversity and from a variety of perspectives. My writing, teaching, and speaking have been geared toward addressing religious illiteracy since I started with my first blog back in 2007. Given that the USC Center for Religion and Civic Culture studies, documents and helps communities understand the changes that shape religious cultures in Southern California and across the globe I saw working with their Spiritual Exemplars Project as a prime opportunity to continue that work. Through my work over the next couple of years I aim to continue to shine light on how religion and spirituality function in the lives of exemplars and their communities in a diverse array of places and from multiple points of view. If we want to understand our world and how the complexities of the human condition inform behavior in changing contexts, we must pay attention to the role of religious traditions and spiritual practices. Not only will this allow us to better appreciate the human condition and apperceive its highest shared values, but it might improve the possibility of addressing some of humanity’s most urgent shared challenges. Although the foundations of modern religion are shifting and spirituality as we have long known it is undergoing daily transformations, neither shows any signs of going away. Religion and spirituality will remain tenaciously important and will continue to impact human societies for the foreseeable future, playing a role in addressing the world’s most intractable problems — both for good and for ill.
For these reasons and more, I am beyond thrilled to be a journalist-fellow with the Spiritual Exemplars Project and look forward to the stories, reports, and scholarly work that comes out of our work together over the next two-and-a-half years. Be on the lookout for stories from the project on this website. If you have not already, be sure to sign up for my e-mail list so you can stay up-to-date with all the latest religion and culture news! What's the deal with #LutherCountry? Ok, so I went on the trip. I posted pretty much all of them on Instagram! But, what did my dad and I actually experience? What did we think? What is there to learn about Luther and enjoy about Germany on a #LutherCountry tour? Is a trip like this worth it for someone like you? Photo via THRED.org (https://thred.org/what-we-hate-most-in-others/), where this post originally appeared. “You hate most in others what you hate most in yourself,” Mr. Baxter said, as he looked around my seventh-grade class. Then he focused his gaze on one of my fellow students in particular. She knew those words were meant for her. I saw her tense up. She did not take his words kindly. Why? Because instead of allowing for her to judge another pupil with impunity, Mr. Baxter turned the tables and pushed her into a moment of honest (and most likely scathing) self-reflection. You hate most in others what you hate most in yourself. Ouch. Legitimate self-reflection can be hard. It can hurt. It can burn our egos and slight our psyches. In the end, however, using axioms like Mr. Baxter’s can help us have a principled view of ourselves and a more grace-filled view of the world. “The Anointment of David,” circa 1555, depicts the Old Testament scene when the young shepherd David is anointed by the prophet Samuel. Similar paintings have incorrectly been labeled as Saul anointing David. Image by Paolo Veronese/Creative Commons via RNS. With its long and tangled history, biblical iconography is a minefield for misattribution and mislabeling, especially as even casual knowledge of the Bible and other sacred texts is on the decline. Some museums and organizations have had to admit some pretty embarrassing faux pas in recent weeks, wrote Menachem Wecker for the Religion News Service (RNS). In his excellently reported piece, I had the opportunity to build on the biblical blunders and share about how Islamic subjects are also vulnerable to error. Usually I write about religion. Every once and a while, I like to dabble in travel. After my trip to Germany with #TestingLutherCountry in October I was inspired to write a piece about the German Christmas markets popping up all over Deutschland. As November ends, Weihnachtsmärkte—Christmas markets—pop up all over Germany. The Advent tradition stretches back to the late Middle Ages, when folks stocked up on goods as winter approached. Eventually, the festive shopping experiences spread further throughout the German-speaking world. Today, you can even find German-style Christmas markets around the rest of Europe and in places as far-reaching as New York or Montreal. As beautiful as they are, though, the German Christmas market experience can be a bit overwhelming for newcomers. First-timers can make their way through the stalls, snacks, and slang of Germany’s magical holiday markets with ease, thanks to these 10 essential tips and tricks. Universities are not meant to be islands unto themselves. Instead, as Jaroslav Pelikan argued in his seminal work The Idea of the University: A Reexamination, every university has a duty to the societies in which it is situated — local, regional, and international. In an age of space and time compression thanks to advances in communications and digital technology those contexts are ever more immediate and expansive. The internet brings untold opportunity for universities to fulfill their duties to society. To share their research. To spread their knowledge. To engage in conversations. To develop its arts, humanities, and sciences for the fitness of the world. That is why I believe that social media — and digital technology in general — provide prime platforms for scholars to share their ideas and innovations with the public. With that said, I am well aware that these media and technologies come with their own issues, dangers, and roadblocks — especially for women, people of color, and adherents of minority religions. To explore how scholars can best utilize social media as a means of sharing scholarship and engaging the major issues of our society I invite you to join me and a couple of other amazing scholars for an upcoming webinar. Even if you’re not a scholar you should join the conversation and share your perspective! The Religious Freedom Center of the Freedom Forum Institute’s October webinar, “Religious Studies in Social Media: Promising Venues for Public Scholarship” will be held October 18, 2018 from 12:00pm-1:00pm EST. We will discuss how scholars of religion can engage different publics through social media to raise the visibility of their work. I will co-present with Kelly Baker, editor of Women in Higher Education and Simran Jeet Singh, post-doctoral fellow at the Center for Religion and Media (NYU). The webinar will include a presentation and extended Q&A. The event is free and open to the public, but registration is required here: RSVP. 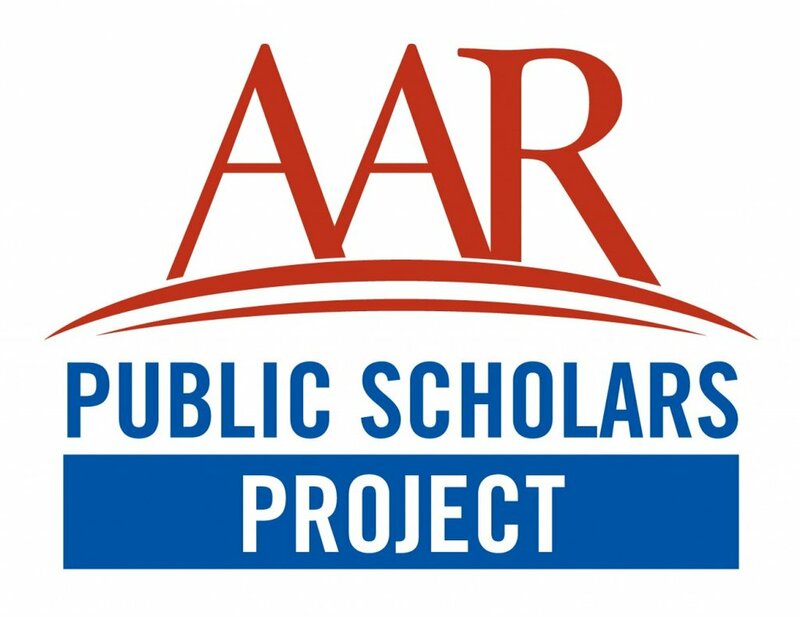 The Public Scholars Project is a joint initiative of the American Academy of Religion and the Religious Freedom Center of the Freedom Forum Institute. Through seminars and other resources, the Public Scholars Project equips scholars of religion to effectively communicate in the public sphere and foster religious literacy. Be sure to take a look at their other webinars and events here. Two weeks from today I will take off to join my father in Frankfurt a.M. to start our official #TestingLutherCountry trip. We couldn’t be more excited to go and share our experiences, encounters, and impressions with you via social media. Our trip will be an intensive tour of the places associated with Martin Luther — the 16th-century reformer — and his biography. Stretched out over a beautiful slice of the central German countryside between Schmalkalden and Lutherstadt-Wittenberg the itinerary will take us up mountains and into cities, across rivers and into the heart of the states of Thüringen and Sachsen-Anhalt. Along the way we will learn about Luther, his life, and his legacy in the places where he wrote, argued, and (of course) drank beer! The tour, and Luther’s story, are not just for theologians and religion nerds. Following along with the biography of Martin Luther also reveals the man’s — and the Reformation movement’s — impact on politics, education, language, the arts, and beyond. Being official #LutherCountry testers means we not only get to enjoy the history, art, gastronomy and (of course) beer in some of the most beautiful scenery in Germany, but also test the man himself — Martin Luther. Part personal tour, part pilgrimage, this is a trip that takes you past the sites and into the spiritual and social setting of Martin Luther and the Reformation. That means my posts will not only share what we are seeing, doing, and eating, but also explain and examine who Martin Luther was, what he did, and why that still matters today. I’m excited to spend a night in the monastery where Martin Luther was a monk. I’m looking forward to drinking beer from some of the best brauereien (breweries) around. I’m going to cherish the quality time spent with my dad (we even get to stay in a “Romantik” hotel in the Wartburg Castle…haha!). I can’t wait to relax in the saunas along the way. I am going to snarf down as much German food as I can. I am going to read every placard I can about Luther and the land that came to bear his name. However, above and beyond all of that I am thrilled to share that story with you. Be sure to subscribe to my e-mail list for updates about the trip. Also, if you’re interested, you can follow along day-by-day via social media on Instagram, Facebook, and Twitter. For now, here’s the itinerary with some of the highlights of what we will be doing along the way. Have you ever been to #LutherCountry? See anything you recognize? Have any recommendations? Any questions or comments you want to share? Please be sure to leave a comment below or reach out via e-mail or social media. I’d love to hear from you! Guided City Tour and stay at the Luther House where Luther lived as a guest in 1532. Themed Dinner in the Luther House – a costumed guide will host 10 guest through the evening. Authentic stories about Luther’s life will be told between the courses. Cozy dinner in Lutherstuben in Hotel Eisenacher Hof. As in medieval times, you will enjoy music, juggling and jests before and after dinner. Entrance to Francke Foundations – from here Henry Melchior Muhlenberg was sent to Pennsylvania to found the first Lutheran Church in America. Dive into the Reformation Festival during this special days: Reformation Day! I'm a fan of the Clash. You know, the famous British punk rock band? As you might have figured out already, I am also a huge religion-nerd, traveler, Lutheran pastor, and Ph.D. candidate in religious studies. Those different threads of my life are all coming together in my upcoming trip as the official LutherCountry “Tester.” From 23 October - 1 November my job will be to “test” the full LutherCountry experience and report back and share the story of the Reformation and its legacy based on first-hand experience in the lands, places, castles, monasteries, churches, and city-streets where it took place. I look forward to sharing all of this on Instagram and Facebook. I invite you to follow me @KenChitwood or @KenChitwoodPhD if we aren’t connected already. I also want to share my stories and experiences on my blog and via my e-mail newsletter. …so I am inviting you to sign-up for a special short-term e-mail list and subscription to my blog. Subscribe to the #TestingLutherCountry list! If you do, I promise you are going to get insider information, inspiring stories, and my in-depth reflections on the places and people that made the Reformation what it was. While I knew some things about the Reformation that class opened my eyes to the revolutionary power of the Reformation and the stunning stories of the people who were involved in it. In particular, my professor impressed upon me — based on his extensive experience traveling in the land of the Reformation and studying in Germany's archives — how vital it was to see not only the big names and famous moments, but to take in the seemingly simple stories of individuals who can sometimes be considered tangential to the grand narrative. There we can see just how vital the Reformation was for individual lives and liberty. That is how I came to write "Should I Stay or Should I Go Now? The Choices Females Faced as Nuns During the Reformation." The Clash song-inspired title spoke to the struggle that women faced with new-found freedoms (including Katharina von Bora) and showed me just how meaningful the Reformation was, and is, for so many people across the world — Lutheran and non-Lutheran, great and small, known and unknown. As a Lutheran, a religious educator, and a writer I continue to be inspired by my Reformational heritage to learn more about the world, the people in it, and how through exploration and education we can continue to inspire, enlighten, and liberate one another with our stories and experiences. Just as Lutheran ideas started in places like Erfurt and Eisleben and spread across the globe, it would be my humble honor to walk in the reformers' footsteps in Germany and go on to share my experience and inspiration with the world in photos, writing, and video. It would allow me to share my passion for the Reformation, its history, and its principles with a wide audience. And that, after all, is one of the things the Reformation is about — having your own experience with a source of knowledge, sharing your story, and inspiring others to step out into the world and do the same. I hope you’ll join me as I Test #LutherCountry next month! The #MosqueMeToo movement has brought attention to the demands of Muslim women to be heard, to be seen, and to be respected. 2018 marked a sweeping year of change and awareness for women across the spectrum, including Muslim women. Building on the momentum established by the #MeToo movement, the founder of the #MosqueMeToo movement, Mona Eltahawy, has sought to bring similar societal awareness to Muslim women within the Muslim community and empower Muslim women to have a more proactive role in their communities. Despite difficulties, the importance of such a cause is undeniable. Women have often remained voiceless on issues regarding sexual harassment and assault. According to a World Health Organization (WHO) survey conducted in 2015, 75% of the world’s roughly two billion women 18 years or older have experienced sexual harassment. Furthermore, analysis of the data concludes over 80% of the adult female population in Muslim-majority countries, such as Afghanistan and Saudi Arabia, have been negatively impacted. Granted, these statistics can vary depending on one’s definition as to what constitutes sexual harassment, but these facts still paint a daunting picture of a serious problem in society regarding the basic human right to feel safe. However, hash-tag movements and the social synergy that is created by them can strengthen voices so that they are heard. A revolutionary movement, called #MeToo, started in 2007 and was revived in October 2017 on social media outlets, such as Twitter and Facebook, to expose sexual assault incidents and provide a sense of unity for survivors. Inspired by the momentum created by #MeToo on social media, Egyptian-American writer, activist and journalist, Mona Eltahawy, began the #MosqueMeToo movement to give an active voice to women who experienced sexual violence in the Muslim community and have long been silenced in male-dominated cultures. A focus of the movement is exposing sexual violence at sacred places, such as during the Hajj. Although Saudi Arabia’s Council recently passed an anti-harassment law that punishes offenders and protects victims’ dignity as insured by Islamic law abuse continues to occur in the Gulf country because of underlying gender inequalities says Eltahawy. Consequently, giving Muslim women a greater voice in their community will allow them as caretakers of children, to empower their daughters and instill parity of women in their sons, to incrementally move the needle with each generation, so that men no longer see women as inferior. The Hajj is a particular place of tension for Muslim women who report instances of sexual abuse by men during the annual spiritual pilgrimage. With increased globalization, transportation technology, and the Internet, the world’s interconnectedness is unparalleled—social media platforms are giving women a voice that we may not have arguably heard before. Eltahawy noted that her Twitter thread was liked or retweeted “thousands of times” and shared in a variety of languages, such as Arabic, Spanish, and German. The synergy that has been created from the #MeToo and #ChurchToo (which exposes sexual abuse and harassment in Christian religious sites) movements are highlighting that the experiences felt by women in the Muslim community are not anomalous, but are shared across the religious and culture spectra. 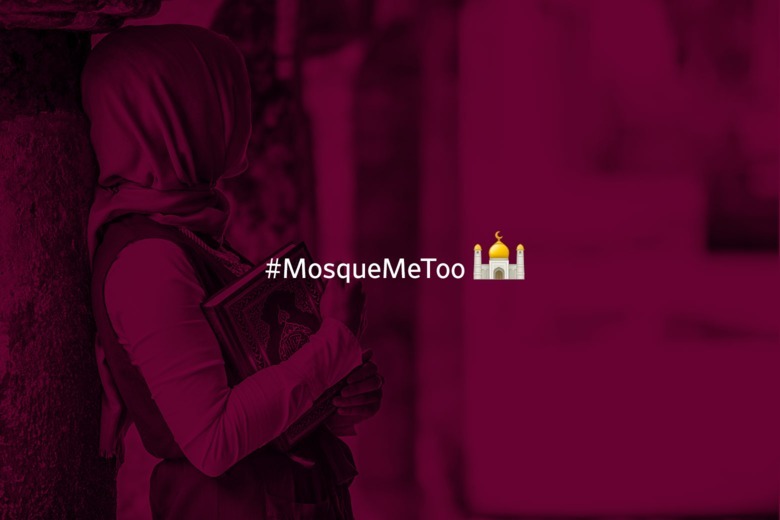 The significance of the #MosqueMeToo movement is multifaceted. Supporters seek to use the movement to empower those most vulnerable: Muslim women, who have been taken advantage of primarily by men and religious figures. By establishing a network seeking to challenge the societal norms Muslim women are joining the movement to challenge the accountability of the crimes because they refuse to simply be victimized, especially in sacred places. However, the movement has faced its hurdles. Eltahawy’s insinuation that the Quran is irrelevant in addressing how women should pray is a highly inflammatory statement to many Muslims. There seems to be a division in the movement between the emphasis on a literal adherence to the Quran, versus a less rigid interpretational frame. Amina Wadud, an international Quranic scholar and mentor to Eltahawy, emphasizes the importance of reinterpreting the Quran so that the Muslim community can cultivate more liberating, inclusive, equitable laws. There are also Muslims who feel that this movement will only amplify Islamophobia and substantiate their false arguments that portray Muslim men as evil. Some Muslim women fear that exposing the Muslim community’s “skeleton in the closet” will enable society to further blame Muslims (“#MosqueMeToo”). When women do speak up, both in society and on social media, they are told that they have an overactive imagination, it is their fault, they want to destroy Islam, they are too ugly to be assaulted, etcetera (“#MosqueMeToo”). However, due to the supporters’ determination to include men as a solution to the problem in the movement these inquiries may avoid that slippery slope. Activists are using the #MosqueMeToo movement to promote that sexualized violence is not just a “woman’s issue.” They are expressing this by advocating for candid discussion among men within the community to help break the connotation that it occurs without retribution. Where to from here for #MosqueMeToo? The #MosqueMeToo movement has enabled Muslim women to be heard regarding the sexualized violence that they have endured in both the religious and secular aspects of their lives. Significantly, the movement is endeavoring to end the gagging and shaming of Muslims within the community who have experienced this abuse by encouraging individuals to continue to share their stories, the religious leaders to denounce such acts, and highlight the importance of men taking greater responsibility on this issue. For this aspirational movement to have a lasting impact on the Muslim community, it needs to leverage social media and broaden its message to a wider audience to public policy makers and the judicial system—lest the movement operate in a vacuum and run out of oxygen causing it to be short lived and ineffective. *This is a guest post from MaryAnne O'Neill and was originally written as an essay in an "Introductoin to Islam" course at the University of Florida in Summer 2018. Muslims gather for prayer (PHOTO: The Conversation US). Nearly 2 million Muslim pilgrims are gathering in the holy city of Mecca in Saudi Arabia for the Hajj. This five-day pilgrimage is a once-in-a-lifetime obligation for all Muslims who have the physical and financial ability to undertake the journey. Millions of Muslims come from countries as diverse as Indonesia, Russia, India, Cuba, Fiji, the United States and Nigeria – all dressed in plain white garments. Men wear seamless, unstitched clothing, and women, white dresses with headscarves. The idea is to dress plainly so as to mask any differences in wealth and status. The pilgrimage is considered to be the fifth pillar of Islamic practice. The other four are the profession of faith, five daily prayers, charity and the fast of Ramadan. What is the religious and political significance of this annual pilgrimage? When Mr. Casper reached out to talk to me about Watu Wote, a 22-minute film about Muslims protecting Christians from a militant attack that was nominated for the Live Action Short Film category at the 90th Academy Awards, I was excited to share some of my perspective and research from my time in Kenya back between 2012-2014. I am happy with how the Christianity Today article came out, but I wanted to share my full comments to give my measured critique and muted optimism a bit more context than what Mr. Casper ever could in this article (not his fault, that's just the nature of a piece like that!). In the end, while I laud the Muslims who protected their Christian brothers and sisters and believe that Kenyans will continue to find their own ways to inter-religious harmony and cooperation (as they often have in the past) I believe that film representations such as Watu Wote -- and the discourse surrounding it -- can veer dangerously close to playing the game of “good Muslim”/“bad Muslim” where “good Muslims” are those who protect Christians and “bad Muslims” are those who attack Christians. The truth is much more muddled and this type of representation puts the onus on Muslims to be the ones to have to change for interfaith peace to be possible rather than reminding Christians in Kenya -- and elsewhere -- that they have a massive part to play. You noticed a tendency among evangelicals to move from describing Muslims/Somalis as shifta to Samaritans. What does this mean in terms of interfaith relations, or Kenyan unity? The way we frame, define, or imagine ourselves and others plays a critical role in how we think, speak, and act. It also informs how we vote, how we live our lives in day-to-day relations, where we live, who we interact with, and how we interact with them. In this particular case, I thought it was interesting to note how the evangelical Christians I was talking to so readily identified “their Samaritans” as Somalis — and the “Somali Muslim” in particular. On the one hand, it illustrated a certain softening of their views toward Somalis, their neighbors to the north. They were not viewing them simply as “shifta” — bandits — but instead as Samaritans. This is significant from an evangelical perspective for two reasons. First, in the context of Samaritans as they are discussed in the Gospels, the Samaritan is the one who helps a man heal from an attack by bandits on the Jericho road. Second, they were seen as related to, and yet distinct from, the Judeans that Jesus predominately did his work among. And so, when these evangelical Christians referred to Somalis as Samaritans they were trying to say that Somalis were not necessarily bandits, enemies, or inherently evil (as the blanket term “shifta” implies), but possibly even heroes in certain stories (as with the “Good Samaritan”). They were also saying that while Kenyans (here imagined as “Judeans”) and Somalis are different, they are also related in terms of geography, history, and culture. It was a way for these evangelical Christians to make Somalis relatable, redeemable, and respectable within the frameworks of their conceptual Christian universe. This perspective is a whole lot more positive than a lot of the popular, political, or public representations of Somalis swirling around at the time of the Westgate Mall attacks and against the backdrop of violent al-Shabaab militancy. Specifically, in terms of interfaith relations and Kenyan unity, this means that there is now more room in the imagination for Somalis to be part of Kenya. Like I said, there is a certain softening in perception in this shift from imagining Somalis as shifta to imagining them as Samaritans. However, how Somalis become part of a unified Kenya is still very much on the Kenyan Christians’ own terms. They must be converted in order to truly be “Judeans” or, in this case, Kenyans. This shift is a mixed bag for interfaith relations. While conversations across boundaries of identity must begin with an imaginative engagement and empathy with the perceived “other,” this shift in the imagination concerning Somalis doesn’t quite fill me with confidence that encounters between Somali Muslims and Kenyan Christians will necessarily always be valuable. They could be, but there are still a lot of boundaries — physical, conceptual, theological — to be crossed. With that said, there are many encouraging stories that speak of healthy, valuable, and elegant relationships between Christians and Muslims in Eastern Africa. My research did not focus on those, but you can find others who have written about these stories in popular and academic venues. Do other non-evangelical Christians mirror this move? How would you characterize Christians as a whole at either the pole of shifta, or at the other of citizenship? Yes, other Christians mirror this move or even go beyond. While I did not perform a comprehensive survey of evangelicals in Kenya — or perform in-depth ethnography — I talked with many Christians from broader evangelical traditions as part of this research. I have also received feedback about this piece from others that has helped me better understand. And so, I think it is impossible to characterize the Christian view of Somalis in any one way. I think it falls along a spectrum from extreme fear, hate, and distrust to radical openness, hospitality, and perhaps even relative indifference to who Somalis are or what is being said about them. The vast majority probably fall in the middle and that is part of what I was trying to capture in my piece. Evangelical Christians are perhaps shifting their conceptions of Somalis, but they still haven’t moved to open engagement, hospitality, or the dissolution of boundaries. Many of the Christians I talked to discussed how they are friends, neighbors, or colleagues with Muslims (Kenyan or Somali). They expressed how they trusted them in business, enjoyed conversations with them, and generally had no problem interacting with them. They never expressed any fears that they were taking over, corrupting, or soon to attack the nation or people of Kenya. At the same time, many of these same evangelical Christians would emphasize the need to convert them, to open their eyes to the way of Jesus, and would hint that this was the only way they could truly be brothers and sisters with them. Some didn’t say this and assumed the common humanity between Muslims and Christians, but enough did that I think it would be the majority opinion. What is it that would draw Kenyans toward better interfaith relations? Would a film like Watu Wote be more effective than government or religious statements or sermons? Or less? More conversations, intentional interactions, and a reduced-tension political environment would all go a long way in improving better interfaith relations in Kenya. The first two are largely in the hands of Eastern Africans. The latter, however, is enmeshed in the broader, global, “War on Terror.” As long as Eastern Africa is imagined as a key “battleground” in the “War on Terror” and Kenya and Somalia as a “bloody border” between Muslims and Christians (a la Samuel Huntington’s “Clash of Civilizations” thesis) interfaith relations will continue to remain tense. In general, I believe that Christians in Kenya are keen to build bridges with their Muslim neighbors. You see this in the softening of their language, in the openness of their imagination, and even in their desire to evangelize. A film like Watu Wote can do two things to help move conversations and interactions between Muslims and Christians in a positive direction. First, as an interactive artifact of popular culture it can perhaps serve as a guiding light, or cultural touchpoint, that Christians and Muslims can turn to and say, “Look, see, how in this instance Muslims and Christians saw in each other common humanity and protected one another against violence and hate? !” Second, it can serve as the basis for further conversations. Christians and Muslims could gather around to watch, discuss, and interpret the film together. Art and culture can serve as beautiful vehicles for interfaith engagement and conversation. This film can help move interfaith conversations forward by providing an imaginative, and engaging, means to talk about our common humanity and our shared values. However, I must also caution that this film seems geared toward a Western audience. I’d be curious to know just how successful it was in Kenya (I am not saying it wasn’t, I just didn’t see any firm statistics). That it was directed by a German and nominated for an Academy Award speaks to how Western audiences are drawn to this type of narrative. While it is good that we see that “Muslims aren’t terrorists” in popular culture we should also be careful — as outsiders and Westerners — to not enforce or overly encourage our own versions and visions of interfaith peace on Christians, Muslims, and others in Kenya and Somalia. In the end, it will not be a film that will change the future, but the daily interactions between Muslims and Christians on the ground in these areas and places. This may not bring about rapid change, but through the glacial grind of time the relationships formed between Muslims and Christians in small towns like Oloitokitok, in transit centers like Emali, or in cities like Nairobi will be where the work gets done and lives are transformed. Might Christian or evangelical Kenyans be upset at the film’s positive portrayal of Muslims/Islam, or instead see it as a reinforcement of national unity? How would you describe the tension between a desire for Christian exclusivism and a desire for national peace? I don’t imagine that the Kenyan Christians I talked to would be necessarily upset about the positive portrayal of Muslims in this case. I think that fact will be celebrated. I think it will be, and most likely has been, celebrated as a symbol of potential national unity and common humanity. It must be said that al-Shabaab is still al-Shabaab here. There is still an enemy in this film. It’s not Muslims, but a particular type of Muslim that is being condemned in this film. The film is seemingly trying to shift the “us” v. “them” from that of Kenyan Christian v. Somali Muslim to peace lovers v. violent extremists. I don’t think evangelical Christians should be against such a portrayal and would most likely cheer it. However, the film would still need to be critiqued to see what new “others” it is creating here and if members of al-Shabaab are being made out as inhuman when juxtaposed with the Muslims protecting Christians. It seems to me that perhaps there is a game of “good Muslim”/“bad Muslim” being played out in this film where “good Muslims” are those who protect Christians and “bad Muslims” are those who attack Christians. Just like with the shift from shifta to Samaritan, the game is still being played on Christian ground. Muslims must conform. Muslims must perform certain actions. Muslims must be good for us all to get along. The primary onus of maintaining peace and unity is placed on Muslims and not as fully on Christians. I don’t think a desire for Christian exclusivism is necessarily antithetical to a desire for national peace. However, the question must be asked what norms are certain participants in these cultural, political and social conversations expecting national peace and unity to conform? Is it that to be unified we must all be the same religion? Most Kenyans (or Americans or Germans for that matter) are not so naive to actually think so, but sometimes the language and imagination around this issue seems to hint at such a point of view. What might truly help this conversation about national unity move forward would be if Muslims — Somali, Kenyan, or otherwise — were permitted in popular culture, the public imagination, and in political terms to be accepted and affirmed as they are, not as how evangelical Christians, or others, imagine them or want them to be. There is the mother who converted when she saw her son transition from a life of drugs and crime to one of prayer and faithful religious practice. Then there's the story of the guy who met the woman of his dreams, moved to Kenya to pursue her, and converted in order to become her husband. Or there is the Marine who took the shahadah while stationed in Japan. There are former Pentecostals and Catholics, Jehovah's Witnesses and agnostics, atheists and Mormons; they've all converted to Islam. They are from Puerto Rico and Mexico, Argentina and Ecuador, San Franciso and San Salvador, New York, Newark, Miami, and Houston. They are Latinx Muslims, one of the fastest growing religious communities in the U.S. When I started learning from Latinx Muslims back in 2012 I was able to cobble together a few articles from scholars such as SpearIt, Patrick Bowen, and Hisham Aidi, read a single monograph (Hjamil A. MartÃ­nez-VÃ¡squez's Latina/o Y Musulmán: The Construction of Latina/o Identity among Latina/o Muslims in the United States), peruse blogs, and talk to leading Latina/o Muslims like Juan Galvan, Daniel Abdullah Hernandez, Mujahid Fletcher, Isa Parada, and Juan Alvarado to complete my research. The result was my master's thesis Islam en Español: The narratives, demographics, conversion causeways, & conditions for community cohesion among Latina/o Muslims in the U.S.
At the end of my thesis, I wrote there was still a pertinent need to expand research in this area and in the quest for quality, comprehensive, newswriting and coverage, that students and commentators should provide more nuanced information about this important religious community. Over the last several years I have seen an increasing amount of new research, publications, and writing on the subject. It's an exciting time to be in the field. I start with this text because it is both highly valuable and for me, it is highly personal. Since I first met Isa Parada at a masjid in Houston, TX and began learning from my Latinx Muslim teachers and friends I have remained humbly fascinated with Latinx Muslim journeys through the uncertainties of being "quadruple minorities" -- Latinx in the Muslim community, Muslim in the Latinx community, Latinx in the U.S., and Muslim in the U.S. This text, which I turned to in its draft form as a website and blog during my master's research, not only presents general comments on the place of Latinx Muslims in the American Muslim story, but it also does the simple, but significant, service of presenting scores of stories from Latinx Muslims themselves. Readers listen to men and women from across the Americas who identify as Latina, Latino, Latinx, Hispanic, or Spanish-speaking tell their stories of reversion (or 'conversion,' Latinx Muslims refer to their conversions as 'reversions,' both because they believe in fitra -- that human beings are born with an innate inclination toward tawhid [the oneness of God] and draw on their Andalusian roots to speak to the very Arab and Muslim basis of much of Latinx culture, language, and history). Readers will enjoy how Galvan frames these narratives with his own historical, theological, and cultural commentary, but will be most impressed by the sheer diversity of stories and experiences of those who converted in prison or on their front porch, to those who reverted in Australia and Bolivia, and those who found Islam on Facebook, through Latinx specific organizations, their future spouses, in dreams, or even while smoking weed and drinking a 22oz. of Heineken. Not only does this text do well to let the stories stand for themselves and permit Latinx Muslims' voices to be heard above all else, but it also provides a wealth of primary data for researchers and interested students looking to learn more. On this point of conversions of prison, SpearIt presents an overview of prison culture in the U.S. with a specific focus on the role of Islam and Muslims within the system. The main point of this anthology is that "problems in prison are not isolated from society, and [prisons] are not neatly cornered off from society, but rather, are partners in toxic relationships with the communities to which ex-prisoners return." Against, and alongside, what he posits as a poisonous prison system he showcases the spiritual journeys of many Muslims who convert while incarcerated. 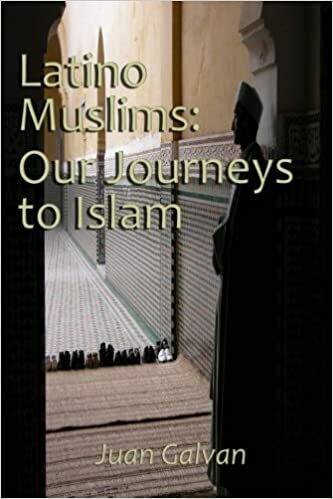 Significantly, he includes an exploration and analysis of Latinx Muslims -- their conversions, their communities, and their central importance in telling the story of Islam in the U.S.
One of the more significant voices in my research has been "Imam Danny." He is a scholar, an inter-religious leader, and a friend. His tireless efforts at understanding, communicating, and sharing Islamic theology are well appreciated by many Muslims -- Latinx and otherwise. His most recent project is a labor of love that also opens up a window into the influence of Latinx Muslims in the process of Islamic theology in the U.S. and abroad. Not only have Latinx Muslims been producing works, and translating works into, Spanish over the last 40 years, they have also been creating new works in English. 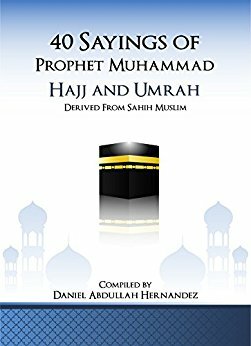 Imam Hernandez's efforts at translating and collecting 42 hadith, reports of the words and deeds of the Prophet Muhammad (PBUH) and other early Muslims, on the five pillars of Islamic practice (confessing the faith, prayer, charity, fasting, and the hajj pilgrimage) are quick, practical, references for intentional Muslims. More than that, they are another prime example of indigenous knowledge production and leadership among Latinx Muslims who are making an impact on their religion in the U.S. and abroad. It is evidence that Latinx Muslims are not only being shaped by the global umma (Muslim community) but also shaping it with their words and deeds. This journal article lauds itself as the first large-scale survey research on the demographics of the Latinx Muslim community and the question of why Latina/os converted to Islam. There has been important research conducted in this area, but as they note it has largely been limited to smaller numbers in particular cities and without any consistent methodology. As they wrote, "This study seeks to help fill this gap in the literature by analyzing the survey results of 560 Latino Muslims across the U.S."
What they provide is the most comprehensive picture of the general make-up and sociological contours of the Latinx Muslim community in the U.S. They also make a critical interlude by discussing the idea of "Islamidad" -- a distinct Latinx Muslim identity that resists complete assimilation to Arab cultural norms even as it reimagines and expands what it means to be Latinx and Muslim. This book, which comes out in April, is a highly anticipated and pioneering monograph that, "examines how so-called 'minority groups' are made, fragmented, and struggle for recognition in the U.S.A." To do so, it focuses on the story of, "Latino Muslims [who] celebrate their intersecting identities both in their daily lives and in their mediated representations online." As is evident from the above, research from, and on, Latinx Muslims is on the rise. The above provides valuable fodder and necessary provocation for further research and understanding by broader Muslim, American, and Latinx populations. Reflection, writing, and research is getting deeper and wider and that’s a good thing. further exploration of the accents and considerable transnational lives of Latinx Muslims. I am aiming to provide more on this in my own dissertation research with Puerto Rican Muslims and in my forthcoming book from Hurst Publishers and Oxford University Press on Islam and Muslim communities in Latin America and the Caribbean. Certainly, there is more left to discover about the nuances of this community’s narrative and how they fit into the global Muslim picture. Yet, the above works help provide a firm, and comprehensive, foundation for this further research. Just 100 years ago the Latinx Muslim community in the U.S. scantly existed, if it was present at all. Today, Latinx Muslims have the opportunity to shape Islam and Muslim communities in the U.S., in Latin America, and across the globe with their particular accent on its theology, practice, and expansion and via the various media of global communication and contact between multiple cultures and communities. The above works showcase how this is already happening and why it matters. Insta to World Religions Launches Tuesday 1/23! While he admits that there are emerging alternative, non-institutional, forms of religion and spirituality and decries the dangers of the potent religion-plus-politics mix, his argument is an old one — that traditional religions are in terminal decline in the industrialized world. He couldn’t be more wrong. Religion has always been with us. And it still is. Throughout history, it has expressed the deepest questions human beings can ask, and it has taken a central place in the lives of virtually all civilizations and cultures. As we think all the way back to the dawn of human consciousness, we find religion everywhere we turn. And it hasn’t gone away. In the spirit of understanding religion — what it is, why it is, where it is, how it develops, changes, and shapes our world even as it is shaped by it — I am launching a new, public, platform for religious literacy: INSTA TO WORLD RELIGIONS. If you’re interested in learning more about religion, curious about various religious traditions, or just like pretty pictures, videos, and stories on Instagram this course is for you. The idea is to teach the equivalent of an introduction to world religions course via images, videos, stories and blogs and do so through Instagram. I will kick off the course on Tuesday January 23rd! The course will also include an exploration of the very category of “what religion is” and dive into the social, political, and cultural elements that come into play in the development and understanding of the religions we are studying. It is my hope that our course will provide a way for you to not only learn more about other religions, but also engage with your own perspective and promote a posture of respectful curiosity and imaginative empathy toward learning more about religious traditions other than your own. I invite you to join me next Tuesday to start the course by talking more about WHY we should study religion in this day and age and how despite the overblown claims of some, religion is powerful and persistent, and shows no signs of disappearing. What is Eid al-Adha? Why do Muslims seem to celebrate it twice a year? At sundown on August 31, Muslims all over the world will celebrate one of the principal festivals, Eid al-Adha. Earlier in June, Muslims celebrated Eid al-Fitr. Ken Chitwood, Ph.D. candidate studying global Islam, explains the two Islamic festivals. Eid literally means a “festival” or “feast” in Arabic. It is celebrated twice a year as Eid al-Adha, (pronounced eed al-Ahd-huh) and Eid al-Fitr. Why is it celebrated twice a year? The two Eids recognize, celebrate and recall two distinct events that are significant to the story of the Islamic faith. You step into a place like Centro Islámico, and you don’t feel marginalized. You’re able to be Latino and Muslim at the same time. Your identity is whole. These are some of the words I shared with Houstonia magazine writer Adam Doster. Having lived in Houston for four years, studied alongside Latinx Muslims in my time there, and continuing as a scholar interested in how Muslim communities in Latin America, the Caribbean, and the Latinx U.S. thrive, adapt, and grow I was honored to contribute to Adam's story. For more on how these Latinx Muslims have made Houston their home and to read some of my commentary, click the link below. “Seven months into the U.S.-backed campaign, the militants now control only a few districts in the western half of Mosul including the Old City, where Islamic State is expected to make its last stand. The Iraqi government is pushing to declare victory by the holy month of Ramadan, expected to begin on May 27, even if pockets of resistance remain in the Old City, according to military commanders. The same TIME article made note of how ISIS is using residents of Mosul as “human shields.” Throughout the battle in Mosul there have been numerous reports — from intelligence agencies and news outlets — about innocent civilians being used as “shields” by ISIS fighters. It appears that these civilian deaths are caused by a mix of Iraqi forces’ and U.S. coalition’s tactics and the sheer audacity of ISIS’s practices. How is it that ISIS can justify the use of human shields? Is it pure barbarism or have the come to see this as a morally reasonable act? Is this practice acceptable according to Muslim law? Is it even shared amongst jihadis? Let's talk about stuff. Stuff like a pastor getting caught at counseling. About violence. About being overwhelmed in a digital world. About life, faith, and Jesus. Let's talk. That's what THRED is about. As the folks at THRED explain, the aim of this new website is that everyone's perspectives and experiences are valid. Each and everyone's thoughts on tough topics matter. THRED believes that we can learn through dialogue and that the hardest topics should be talked about more, not less. And so, I've joined the THRED writing team and wrote on several topics for them -- specifically those mentioned above. The posts are aimed at a broad audience. While influenced by my faith and personal experiences, they are meant for everyone. I invite you to check out the THRED site and find my work on counseling, digital tech, and more! Islam in the West. A simple enough statement, but one with multiple derivative implications. For this volume’s purposes, editor Edward E. Curtis IV makes it clear from the start that Islam is to be imagined “as part of, rather than as foreign to” to that which is referred to as “the West” (1). This point may seem subtle, but it is vitally important in a climate—both popular and academic—that imagines Muslims as outsiders to “Western culture,” and as unassimilated foreigners in matters of national Western polity. The Bloomsbury Reader on Islam in the West stakes an important position by not only including readings that exhibit this current bias against Muslims as part of a vision of some trumped-up “clash of civilizations,” but also by showcasing work that highlights the specific and textured ways in which Muslims have long been part of the West and been intimately involved in its political, economic, social, cultural, and religious make-up. The roster of Muslim superheroes in the comic book medium has grown over the years, as has the complexity of their depictions. A new book -- Muslim Superheroes -- tracks the initial absence, reluctant inclusion, tokenistic employment, and then nuanced scripting of Islamic protagonists in the American superhero comic book market and beyond. I was honored to contribute my own chapter, "Hero and/or Villain? The 99 and the Hybrid Nature of Popular Culture's Production of Islam." I invite you to unpack more of the meaning in Muslim Superheroes and pre-order the book today. Questions, send them along via my Contact page.